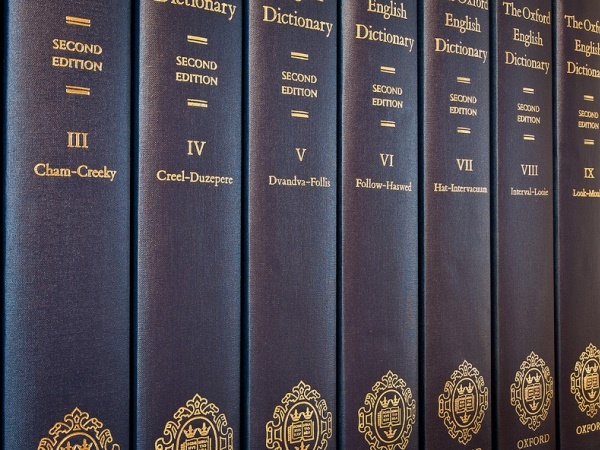 Today Oxford University Press announced the latest quarterly update to Oxford Dictionaries Online. And while we’re always a little surprised by the new words that are added, twerk and selfie have really got us cringing with embarrassment over the clear death of both Hannah Montana (RIP) and the English language! And we thought we’d finally heard the last from Miley Cyrus! First, she releases the hideously uncomfortable music video for We Can’t Stop, with its constant tongue action and enough twerking to put people off the concept before it even becomes mainstream . . .
Then, her unforgettable (no, not the kind we want to remember) performance at the VMAs that left just about everybody highly uncomfortable . . . The constant trends on Twitter such as #MileyCyrus #Twerk #RobinThicke and #ReplaceASongNameWithTwerk. And now the most irritating Disney diva of the moment has finally p**sed off just about everybody because her controversial act of twerking has managed to find its way in, dare we still call it, a dictionary! For the academics out there, or those who proudly identify as book nerds, there’s probably widespread disappointment that Miley’s controversial and attention-seeking behaviour has been added to the official list of words of Oxford Dictionaries Online. Twerk and selfie are two of the words that have been added in the dictionary as new words related to social media and technology. And we were stunned when Beyoncé’s ‘bootylicious’ (sexually attractive, especially in the buttocks) was added to the dictionary in 2009? Because these terms have been so absorbed by popular culture, they’ve been included in the latest Oxford Dictionaries Online update, joining other pop cultural words that Oxford has introduced to its print or online editions in recent years, such as lolz, totes, OMG, LOL, mankini, jeggings and sexting. Several fashion terms also make their debut in the Oxford Dictionary and among other words on oxforddictionaries.com you can now find chandelier earrings, double denim, fauxhawk, flatform, geek chic, jorts, and pixie cut. Twerk ? dance to popular music in a sexually provocative manner involving thrusting hip movements and a low, squatting stance. Used in an example: Just wait till they catch their daughters twerking to this song. Selfie ? a photograph that one has taken of oneself, typically one taken with a smartphone or webcam and uploaded to a social media website. Used in an example: Occasional selfies are acceptable, but posting a new picture of yourself every day isn’t necessary. Geek chic ? the dress, appearance and culture associated with computing and technology enthusiasts, regarded as stylish or fashionable. Used in an example: The crowd is young, the style is geek chic, and the latest in computer gadgetry is on display. Used in an example: Go ahead; turn all your jeans into jorts. Pixie cut ? a woman’s short hairstyle in which the hair is cropped in layers, typically so as to create a slightly tousled effect. Used in an example: The pixie cut is becoming almost a signature look for all celebrities looking to revamp their image. Buzzworthy ? likely to arouse the interest and attention of the public, either by media coverage or word of mouth. Used in an example: They are four of this year’s most buzzworthy young stars. Cake pop ? a small, round piece of cake coated with icing or chocolate and fixed on the end of a stick so as to resemble a lollipop. Used in an example: The red velvet cake pops tasted as good as they looked. Digital detox ? a period of time during which a person refrains from using electronic devices such as smartphones or computers, regarded as an opportunity to reduce stress or focus on social interaction in the physical world. Used in an example: Break free of your devices and go on a digital detox. Girl crush ? an intense and typically nonsexual liking or admiration felt by one woman or girl for another. Used in an example: I have had a girl crush on RiRi for years! Balayage ? a technique for highlighting the hair in which the dye is painted on in such a way as to create a graduated, natural-looking effect. Used in an example: She specialises in balayage, colour corrections, restyles and extensions. Chandelier earring ? a long, elaborate dangling earring, typically consisting of various tiers of gemstones, crystals, beads, and so forth. Used in an example: A statement necklace or chandelier earrings can add sophistication to casual attire. Double denim ? a style of dress in which a denim jacket or shirt is worn with a pair of jeans or a denim skirt, often regarded as a breach of fashion etiquette. Used in an example: Wearing a suit and no socks is a cardinal sin ? it’s even worse than double denim. FOMO ? fear of missing out: anxiety that an exciting or interesting event may currently be happening elsewhere, often aroused by posts seen on a social media website. Used in an example: I had a bad case of FOMO. I contracted it when I realized all of my classmates (or so it seemed) had [TV station] Nickelodeon, and I didn’t. Fauxhawk ? a hairstyle in which a section of hair running from the front to the back of the head stands erect, intended to resemble a Mohican haircut or mohawk (in which the sides of the head are shaved). Example: The opening drew a primarily male audience sporting ironic T-shirts and fauxhawks. Flatform ? a flat shoe with a high, thick sole. Example: I own a pair of tan flatforms. Vom ? be sick; vomit. Example: I’m eating cupcakes and drinking milkshakes and trying not to vom.